Abstract—Research findings have shown that learners encountered many learning difficulties. However, for effective learning one has to know oneself and having knowledge about one’s strengths and weaknesses. The process of teaching and learning will be more effective and meaningful when teachers and learners know their potential, their unique styles, strengths and weaknesses in learning. Howard Gardner's theory of multiple intelligences (MI) is a psychological and educational theory espousing that ten types of "intelligence" exist in humans, each relating to a different sphere of human life and activity. Nowadays, how learners interpret knowledge differs greatly from what used to be perceived by the teachers. The manner in which teachers deliver the knowledge may not match the expectations of the learners, thus results in teachers’ instructional methods became inefficient and learners failed to learn. This mismatch calls for new and innovative instructional design of delivery methods that are student- centered which cater to their needs. This paper discusses the design and development of a multiple intelligence multimedia courseware (MIMCO) for the teaching and learning of some chemistry concepts. The courseware was designed in a systematic manner embedding principles of constructivist and contextual learning using the ADDIE model of instructional design. Learners are able to learn in their specific intelligence as the courseware caters to eight modes of intelligences as the learning environment. A preliminary evaluation of the courseware showed positive impact on the learners. Index Terms—Multiple intelligence, instructional design, constructivist, contextual and multimedia. Rio Sumarni Shariffudin , Sabrina Azanan, and Julia Guan Chin Hsien are with the Education Faculty, Universiti Teknologi Malaysia,81310 UTM, Skudai, Johor Darul Ta’zim, Malaysia (e-mail: alwaysjulia@hotmail.com). 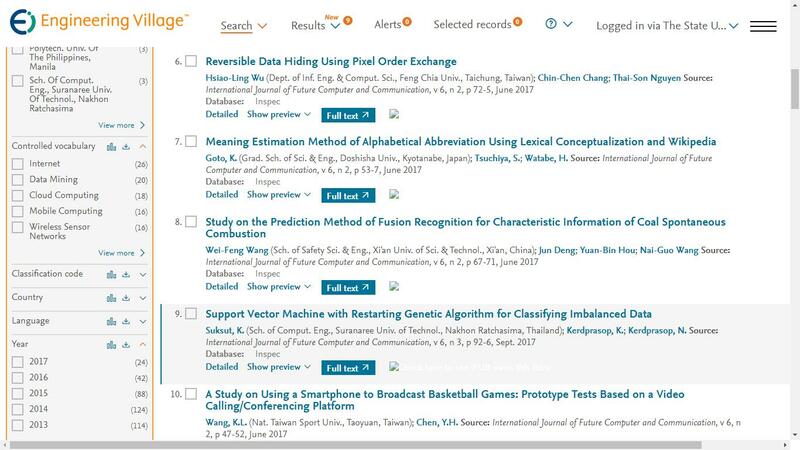 Cite: Rio Sumarni Shariffudin, Sabrina Azanan, and Julia Guan Chin Hsien, "Multiple Intelligence Multimedia Courseware (MIMCO) Based on the Constructivist-Contextual Model for the Learning of Some Chemistry Concepts," International Journal of Future Computer and Communication vol. 1, no. 1, pp. 29-31, 2012.